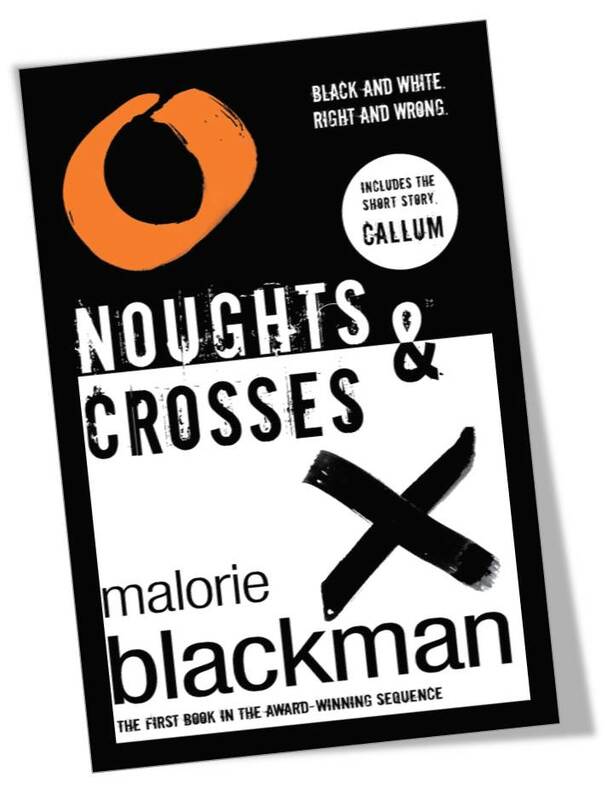 Noughts and Crosses Series by Malorie Blackman, all books and novellas in this series are released and available for purchase. I originally read Noughts and Crosses as a young teenager and completely fell for Sephy and Callum and the world Malorie Blackman had created. 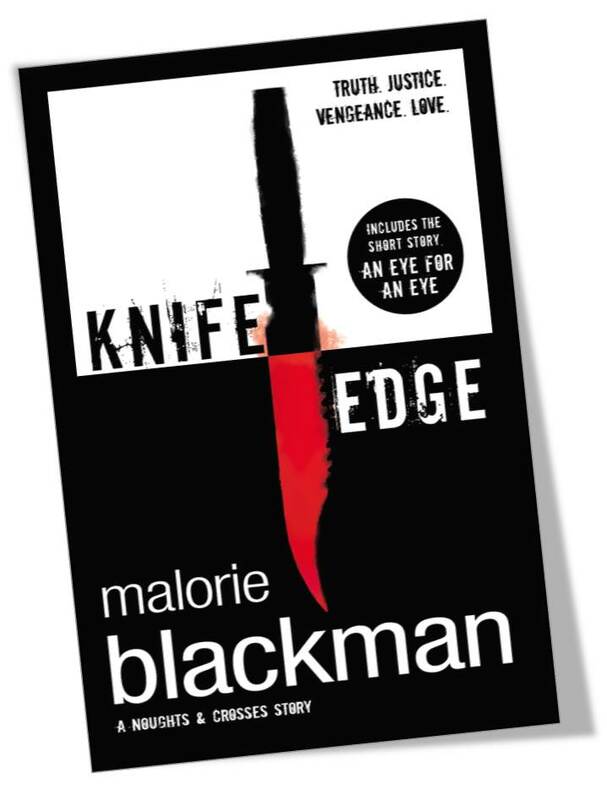 I also read the second installment in this series, Knife Edge, but somewhere along the way I didn’t get to finish the series and was unaware that novellas had been released for World Book Day. I purchased the four book series, complete with novellas, from Play.com for around £20. The last two books in the series (that I hadn’t previously read) are Checkmate and Double Cross, with the two accompanying novellas being Callum and An Eye for An Eye. I love that each book has a short introduction from Malorie Blackman that explains the inspiration behind each story, and how the original idea for this trilogy eventually became four books. This is a series overview that will contain some spoilers, you have been warned! Noughts and Crosses Synopsis: Callum is a Nought – an inferior white citizen in a society controlled by the black Crosses. Sephy is a Cross – and the daughter of one of the most powerful, ruthless men in the country. In their hostile, violent world, Noughts and Crosses simply don’t mix. But when Sephy and Callum’s childhood friendship grows into passionate love, they’re determined to find a way to be together. I absolutely adored this book when I was a teenager, and the reread as an adult didn’t disappoint. It was one of the first books I read that reduced me to tears and while it didn’t have quite the same effect the second time around (I’m assuming this is because I knew what was going to happen), it still generated all the feels. All of these books are written from multiple points of view, and cover quite a lot of ground in terms of their time-frame. Malorie Blackman doesn’t spend a long time intricately describing things so much as emotions, and this works really well. As a reader we fill in the blanks and the true essence of the story doesn’t get lost in translation. I think everyone will be able to relate to this story in one way or another, and that’s what makes it so powerful. While Noughts and Crosses is centred on segregation between two races, throughout history and still today, there are multiple forms of segregation, discrimination and prejudice that parallels with the themes of this book – the idea of star-crossed lovers from two sides of the divide who face immense struggle in their efforts to be together. Malorie Blackman isn’t afraid to confront controversial issues head on and tackle them in an honest yet beautiful way. This book is guaranteed to make you think, really think, about society, social norms and the kind of people we have in power. A fantastic read, and the last few pages are guaranteed to make the biggest Ice Queen’s heart break. Knife Edge Synopsis: Sephy is a Cross – part of the ruling elite in a world where the pale-skinned Noughts are inferior. Jude is a Nought – and consumed with bitter hatred for Sephy, whom he blames for the tragedies his family has suffered. Now Jude’s life rests on a Knife Edge…and Sephy has the power to change everything. The second installment allows for character development in those who played more of a minor role in Noughts and Crosses, and delves into the pasts of many characters so the reader really begins to know these people, and to perhaps better understand some of their actions. The issues covered in this book are very intense (as are the issues covered in all of these books really) and the pace is just right to keep the reader hooked and move the story along while also allowing for enough detail and dialogue. Jude is a hypocritical character, Meggie needs a massive wake-up-call and Sephy has lost some of her spark from the first book, which is understandable under the circumstances. Malorie Blackman definitely knows how to write some seriously good books, and she leaves them on fantastic cliff-hangers – I’m just glad I had the next book in the series to hand every time I finished one! I didn’t enjoy this book just as much as Noughts and Crosses, out of the entire series the first book is my favourite. Noughts and Crosses could easily be a stand-alone novel, and while the entire series is really good – spanning three generations and giving an insight into the implications of the Noughts and Crosses divide on a variety of individuals and their families, I prefer the first novel in the series. Part of this may be because I never did get over the loss of one of the main characters, I missed them in the rest of the series and wished they had have been part of the series for longer – but then this loss is also what makes the story so poignant. Checkmate Synopsis: Callie Rose never met her father. All she knows is that he was a Nought… and her mother a Cross. Growing up in a world where dual heritage means a life of bitter prejudice, Rose often wonders if she resembles him, and if they would have been close…if he would have understood. But as she delves deeper, she discovers a tragic history of violence that has been hidden from her – and is drawn into a dangerous game that can have only one winner. This book focuses on the life and point of view of Callie Rose, the daughter of Sephy and Callum, as she grows up and learns the truth about her family’s past. We are still privy to Sephy’s point of view in this novel, we have now followed her from her childhood, through her teenage years as a young mum to being an adult woman and a single parent. 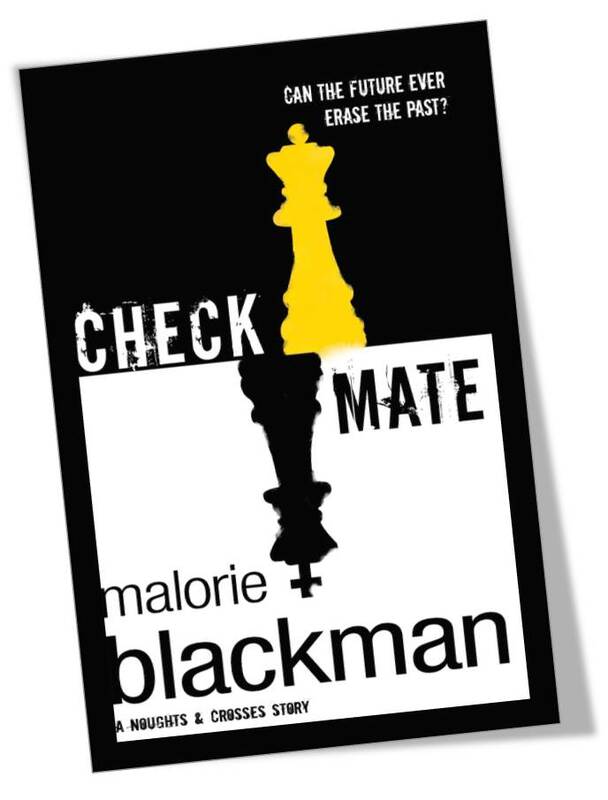 Originally, Checkmate was supposed to be the last book of the trilogy, and I’m really glad that it wasn’t, it felt like there was more to tell in this story. At times the characters become frustrating as you wish they would just open up with each other more, so many of the events that happen in these novels could have been avoided. I think aspects of Callie Rose’s story-line were a little far-fetched, but it still worked well, and Jude’s hell-bent-on-revenge attitude makes for a nerve-racking read. Jasmine Hadley develops as a character in book two and three and it is nice to see her relationship with Meggie McGregor being repaired. Double Cross Synopsis: Tobey wants a better life for him and his girlfriend, Callie Rose. He wants nothing to do with the violent gangs that rule his world. But when he’s offered the chance to make money, he’s tempted. It seems so easy. So innocent. How much harm can it do? This book moves away from Sephy and Callum’s story and focuses on Callie Rose and her love interest Tobey. It also develops the Noughts and Crosses racial divide and incorporates gang culture and drug dealers in the middle of a turf-war. Tobey is a very likable character, despite some of his actions, and this is yet another book that keeps you hooked and reading. There are lots of new characters introduced in the last installment in the series, that moves the story on fully into the next generation. Again in this book I was practically screaming at the characters to just talk to each other more, particularly the “will-they-or-won’t-they” scenario between Callie Rose and Tobey. I thought the ending of this book wrapped up the story much better than the end of Checkmate, but I did feel it was just a little rushed and I would have liked a few more chapters to allow the relationships that had developed by the end to be more embedded, perhaps a short section set a few months after the ending would have been good. Each book in this series tells a unique story in its own right, but they are all complementary and together form a very profound read that is incredibly well-written. I suppose the most disturbing thing about this series is that this sort of thing does happen in real life, even if aspects of it are slightly exaggerated for the purposes of the novel (such as the government using capital punishment, which has of course been abolished for quite some time now in the UK). 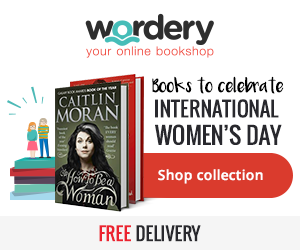 Callum and An Eye For An Eye Novellas: Both of these short stories were written for World Book Day celebrations. Callum offers a different point of view for a section of Noughts and Crosses that was originally told by Sephy, and An Eye For An Eye goes into detail on an event that took place between Sephy, Jude and Minerva that wasn’t covered in as much detail in the original series. Neither of these books are critical to the telling of the Noughts and Crosses series, however they are nice additions to the story, particularly for those who are big fans of the series like myself. Thanks for commenting! It’s a great series, I don’t know of anyone who didn’t enjoy them and get sucked into the story! I’ve only read the first book in this series but I loved it and the second one is coming up on my tbr shelf! excited! Malorie Blackman is a HBIC with lots of guts!! The first book is definitely my favourite, but the others are decent reads too. Let me know what you think of it when you’re done! Amazing reviews! This is one of my favourites series and I adore it so much, love all the books but 1 is my favourite. 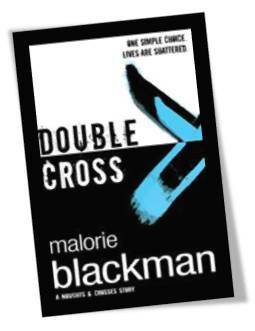 I recently met Malorie Blackman, twice in fact, and when she was signing my old copies I asked her about the possibility of another book – because the ending of Double Cross didn’t completely work for me either- and she winked and said watch this space! CAN’T WAIT 🙂 I expect they’ll announce plans for another book after her time as Children’s Laureate. I just read the first book ( am I the only one who looks at reviews after they read a book ?) and it was so good… It took me so long to be able to write a review because it’s so complex.